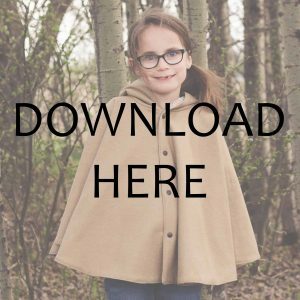 This fall cape pattern and tutorial is perfect for laying outfits. 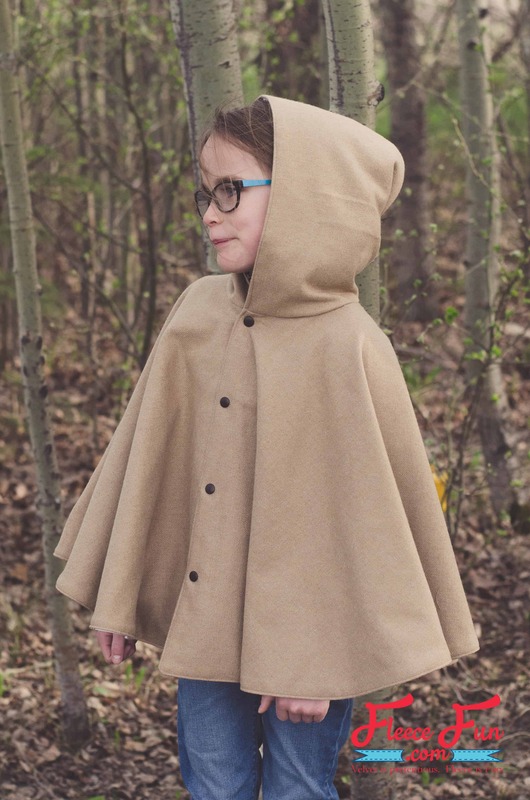 Fall can sometimes be tricky to dress for and this cape adds just enough warmth without being too much. 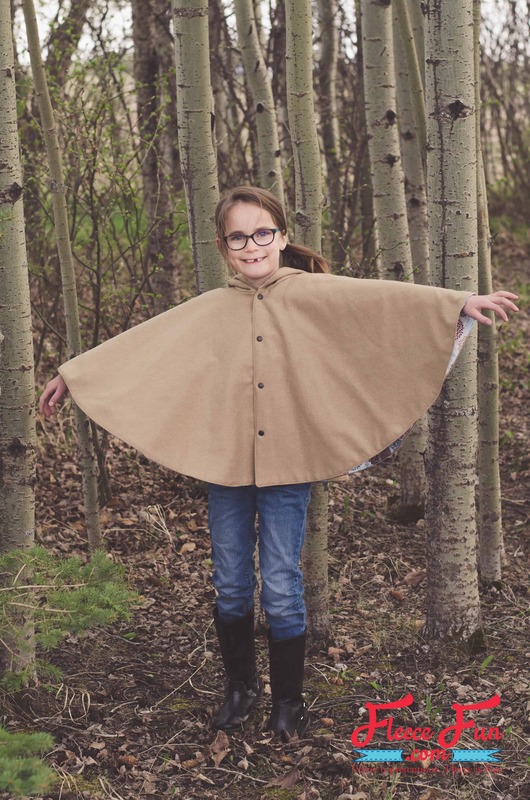 Comfortable and allows plenty of movement – this cape is sure to be your little girl’s favorite. 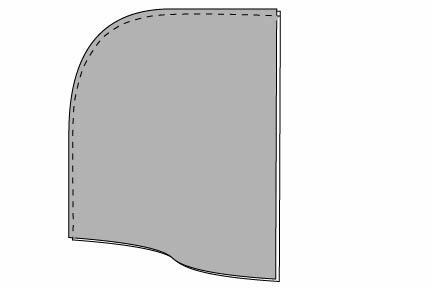 Cut 1″ strips of interfacing and fuse to center fronts of the outer fabric, 3/8″ from the raw edge. This will stabilize the buttonholes or snaps. Sew center back seam, right sides together. Sew center back hood seam, right sides together. Clip the curve. 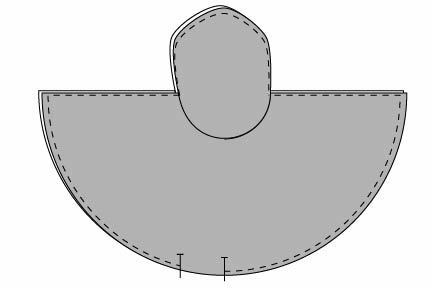 Sew hood to the neckline of the cape, right sides together. Repeats steps 2 and 3 with the lining pieces. 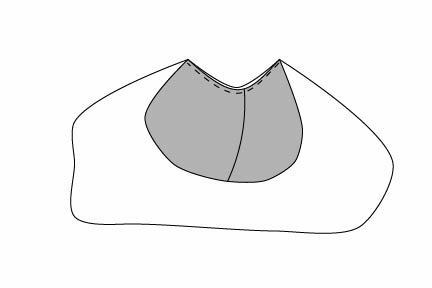 Pin the outer edges of the lining and outer cap, right sides together. 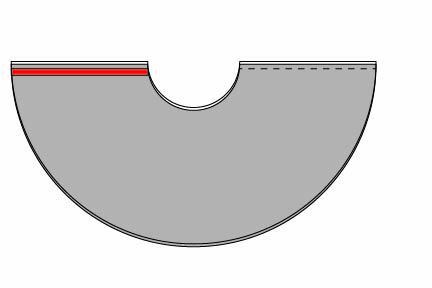 Stitch around the outer edge, leaving a 4″ opening along the bottom for turning. Turn right side out, press, and topstitch along edge, closing the opening at the same time. 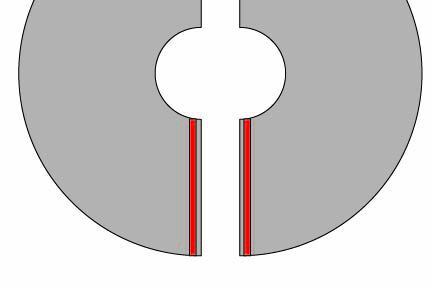 Sew buttonholes and buttons, or apply snaps as marked on the center front.